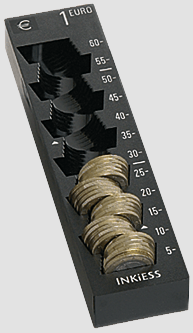 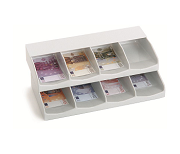 Note compartments, money containers and coin roll boxes in the proportional system suit each other in terms of dimensions and are thus made to be combined. 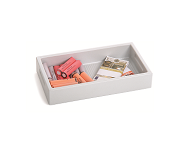 The widths vary by 10 cm. 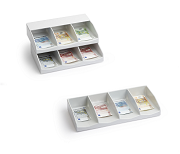 Note compartments can be placed on top of money containers of the same size. 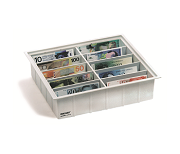 Money containers for larger amounts of money (even bundled or rolled) feature recessed grip handles and a corrugated inside bottom. 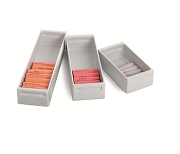 Coin roll boxes are designed especially for coin rolls, same design as money container.